Around 25 years ago, Sherri Routt started working at the Fair Oaks Barnes and Noble. Now, she’s helping the book store chain launch a new prototype store in the Mosaic District (2921 District Avenue). 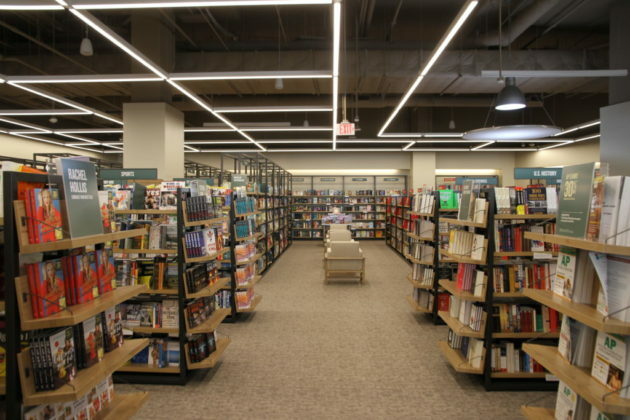 Tomorrow (April 24), Routt’s 8,300-square-foot Barnes and Noble will open its doors to the public. The store is considerably smaller than the usual stores. 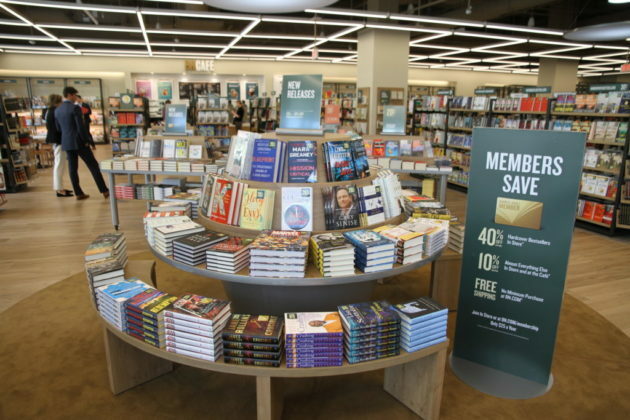 Frank Morabito, Vice President of stores for Barnes and Noble, attended a special preview event at the store and said the new slimmer size is part of a shift towards a more cafe feel for the chain rather than sprawling brick and mortar stores. The store would feel familiar to anyone who has visited the chain’s larger locations. Though the store is smaller, a quick check on obscure fantasy and historical titles showed that the store is still considerably well stocked. But there are other differences immediately apparent when stepping into the store. Lower bookshelves in the building offer clear views from one end of the store to the other in contrast to the more labyrinthian, library-feel of many book stores. 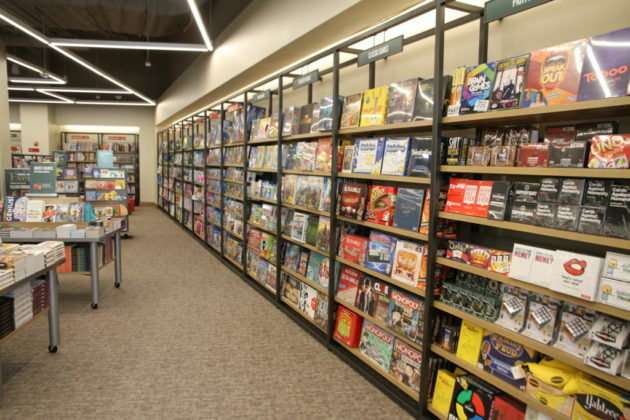 Routt said that staff will be roaming the store assisting visitors with product selection and allowing them to purchase books without needing to visit a cash wrap. 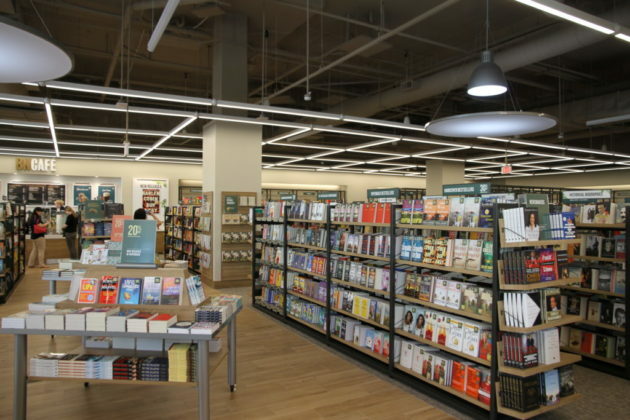 The store will also feature a self-serve kiosk so customers can research books on their own. 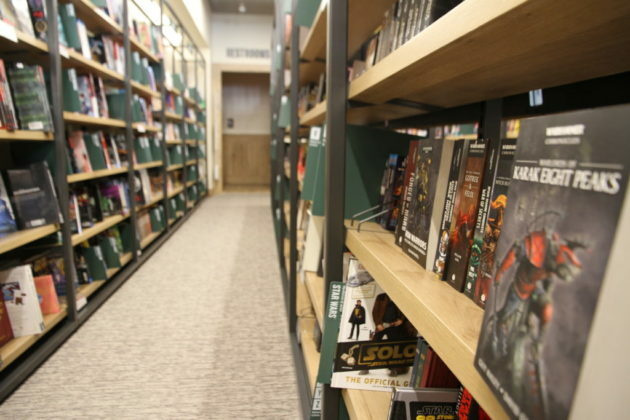 But as a person who has worked in local Barnes and Nobles for years, Routt said she wanted to include a focus on local authors. 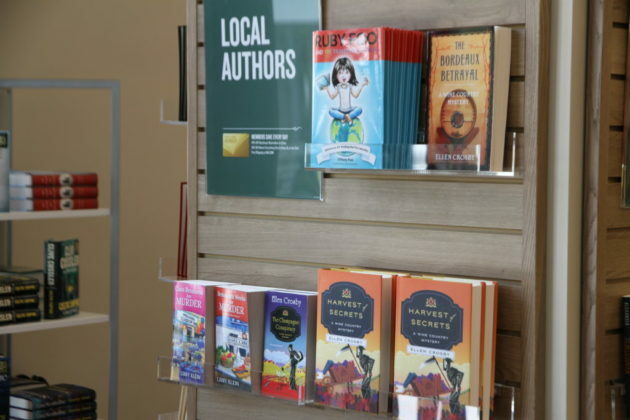 Routt said she knew several from her days working in Fair Oaks, and used those connections to help put together a lineup of book signings for the grand opening. 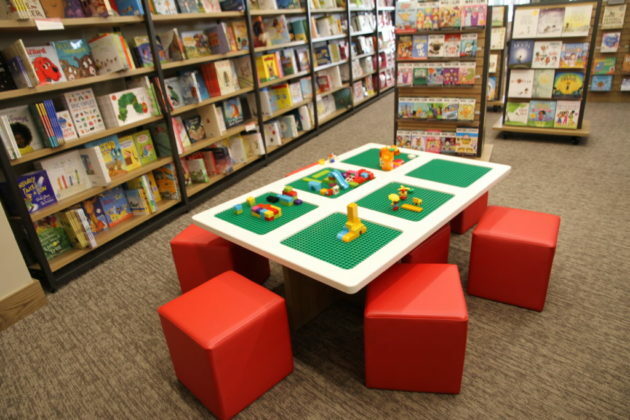 The book store also has a children’s section with a selection for younger ages along with toys and a special activity table for children to play with LEGOs. “This is the cleanest this playspace is ever going to be,” one parent noted as the tour group passed the LEGO table. Routt said there are many children’s book authors in the area, so moving forward she’s hoping to organize more reading events with writers and children. 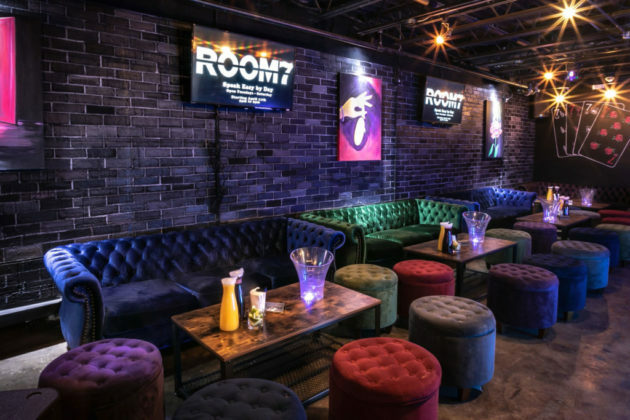 “We’re really trying to make our store feel very localized,” Routt said. 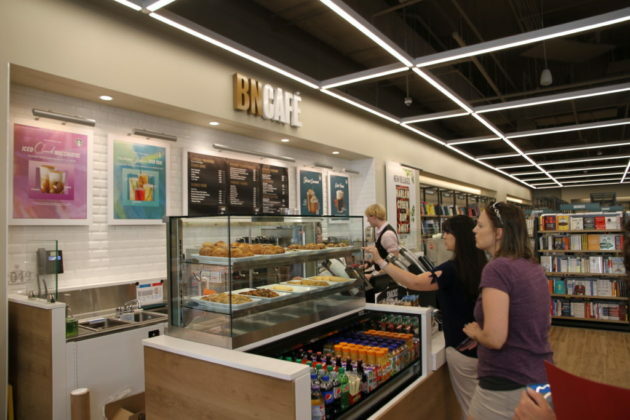 The store also features a Barnes and Noble Cafe. 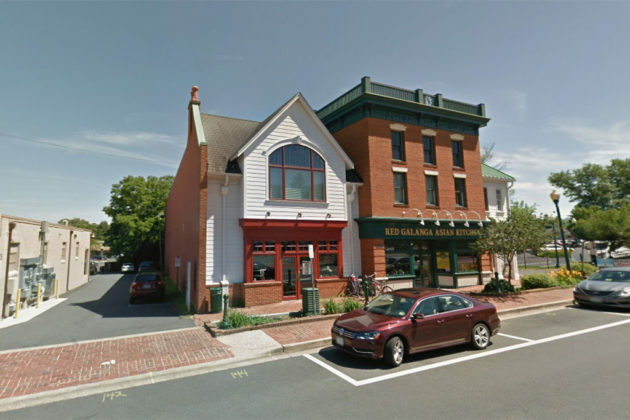 While many locations include Starbucks, Morabito said the Barnes and Noble Cafes are company owned and feature Starbucks coffee, but may have a slightly different selection of baked goods. 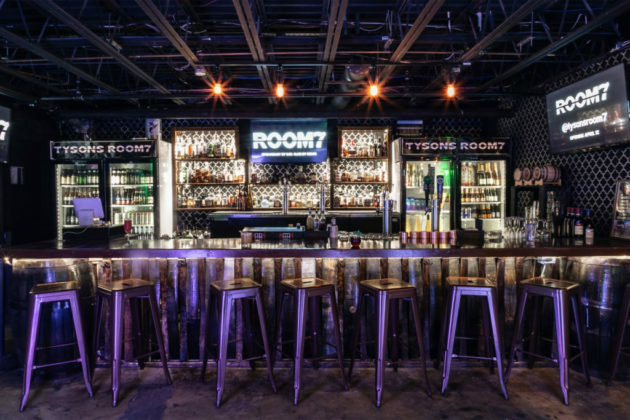 Morabito said the Mosaic District was the perfect location to open a prototype smaller store, the second in the D.C. region. Routt said the store opening had been an easy and streamlined process, though she’s aware there are a lot of eyes in the corporate hierarchy trained on this store opening. 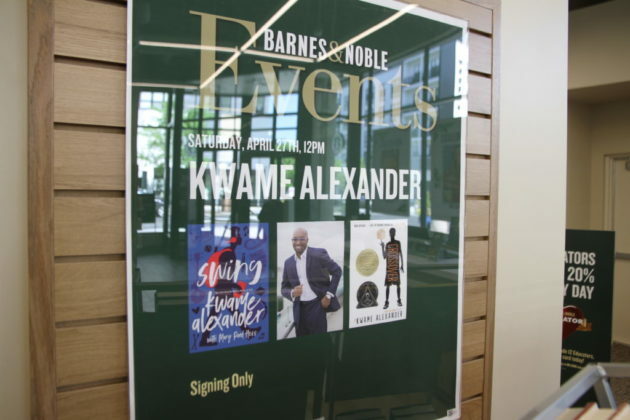 April 24: Kristyn Kusek Lewis — 5 p.m.
April 24: Ikechuku Chigewe — 5 p.m.
April 25: Ellen Crosby — 5 p.m.
April 26: Olivia Hinebaugh — 5 p.m.
April 27: Kwame Alexander – 12 p.m.
April 27: Eleanor Jones, Barb Goffman and Libby Kelin — 4 p.m.
April 28: Barbara Carroll Roberts — 10 a.m.
April 28: Tiffany Foo — 1 p.m. The store will also host face painting and balloon twisting on Saturday (April 27) and Sunday (April 28). Providence District Supervisor Election Forum — 7:30-9:15 p.m. at Luther Jackson Middle School (3020 Gallows Road) — The Democratic candidates running for the nomination in the Providence District Supervisor election are scheduled to meet tonight for a debate. The event will be held in the auditorium and is open to the public. 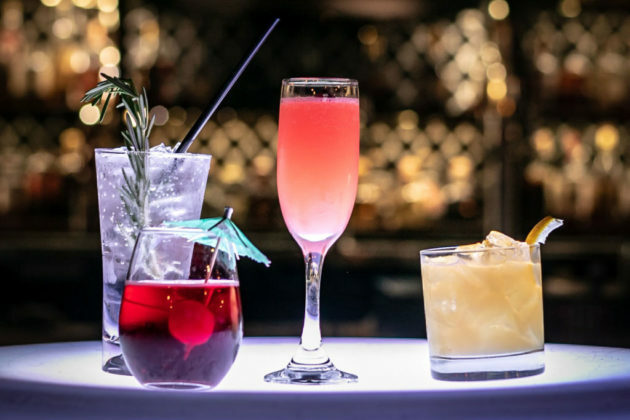 Bubbles Salons Grand Opening Blowout Party — 6-9 p.m. at Tysons Corner Center (8043 Tysons Corner Center) — Food, drinks, and giveaways are planned for a “blowout party” at the new Bubbles Salon, a hair stylist specializing in coloring and shaping. Maple Avenue Corridor Multimodal Study — 7 p.m. at the Vienna Town Hall (127 Center Street) — The Town of Vienna is hosting the first of three community meetings to discuss a multimodal transportation and land use study, giving the public an opportunity to ask questions about the study and provide feedback. 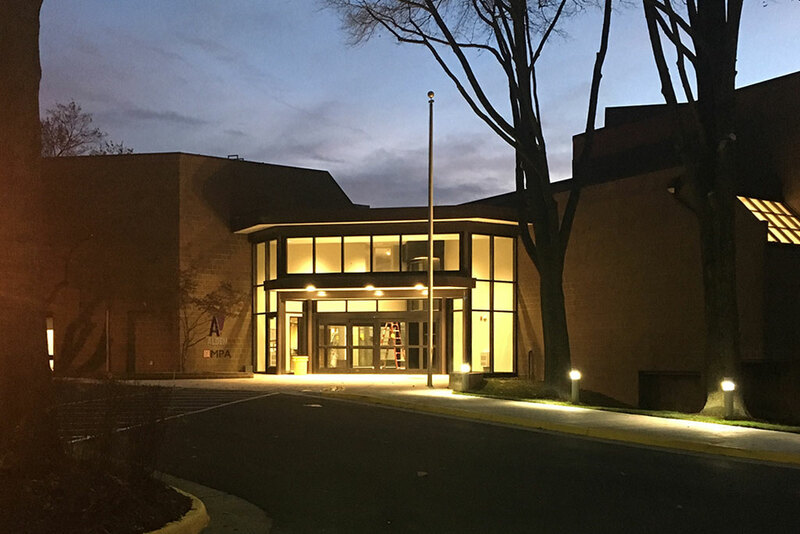 Board of Supervisors Breakfast — 7:30 a.m. at Fairview Park Marriott (3111 Fairview Park Dr) — Leadership Fairfax is presenting a breakfast with Fairfax County and regional leaders for a discussion with the Board of Supervisors regarding the state of the County. Tickets are $50 for class members, $75 for Leadership Fairfax members, and $100 for the general public. Annual Easter Egg Hunt and Petting Zoo — 10 a.m.-12 p.m. at Andrew Chapel United Methodist Church (1301 Trap Road) — The Andrew Chapel United Methodist Church is hosting a free Easter Egg hunt for children. Kids can bring their own basket or one will be provided. In addition to the egg hunt, a petting zoo will include rabbits, ducks, chickens, guinea pigs and a pig. Art Blooms in Mosaic — 10 a.m.-6 p.m. at the Mosaic District (2910 District Ave) — The Mosaic District is hosting a cherry blossom-themed event in partnership with the National Cherry Blossom Festival this Saturday and Sunday. 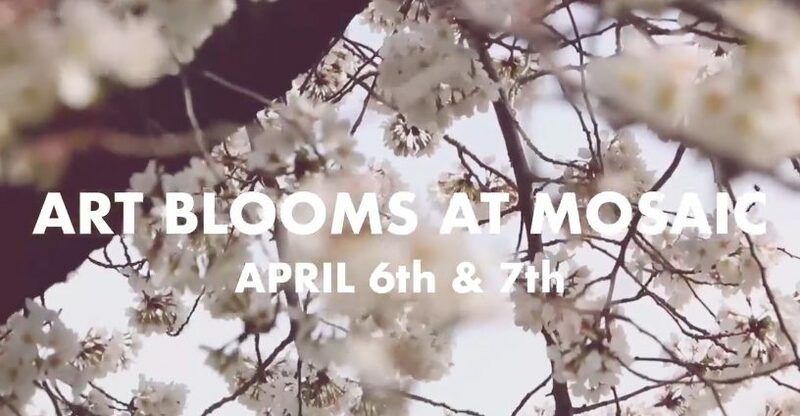 Activities include a painting class focused on creating a cherry blossom vase and artwork from Torpedo Factory artists. National Arab American Women’s Association Dinner — 5 p.m. at Sheraton Tysons (8661 Leesburg Pike) — The NAAWA will host a dinner featuring Congresswoman Rashida Tlaib as the keynote speaker. Front row tickets are sold out, but general seating tickets and meals are still available at $75. After some delays, Virginia Tire and Auto, at 141 Maple Ave in Vienna, is finally open for business. The shop opened today (Thursday) and while an employee said he wasn’t aware of any grand opening celebrations planned, the store is currently in the middle of a hiring fair. 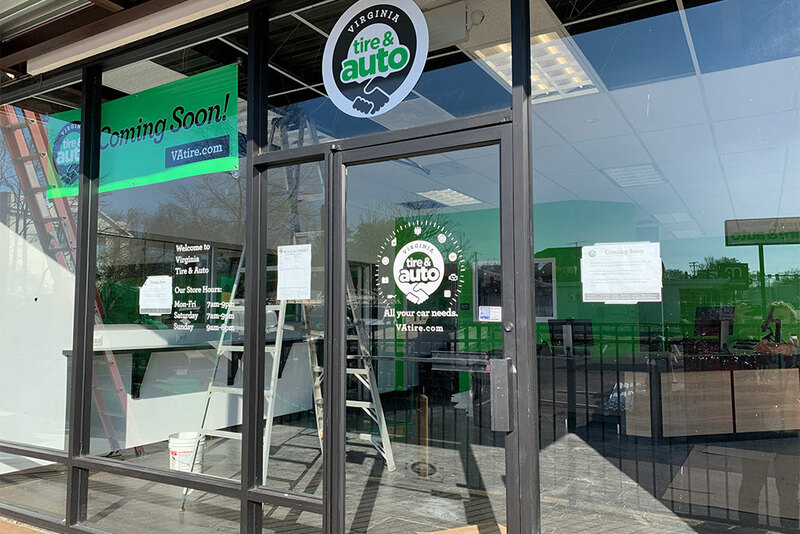 The employee said the store is looking for people to fill a variety of vacancies, from sales to technicians, and one general service manager position. 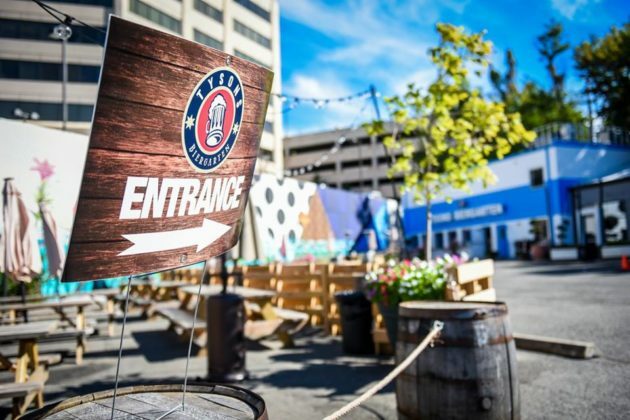 The fair run until the business closes at 6 p.m. today. 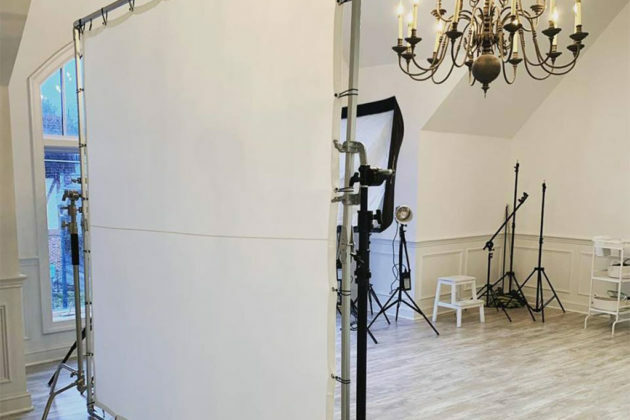 While the store looks to add more people to the crew, the facility is currently operational. The shop has already had a few cars dropped off for repairs and the employee said the first oil checks and tire changes are starting today. 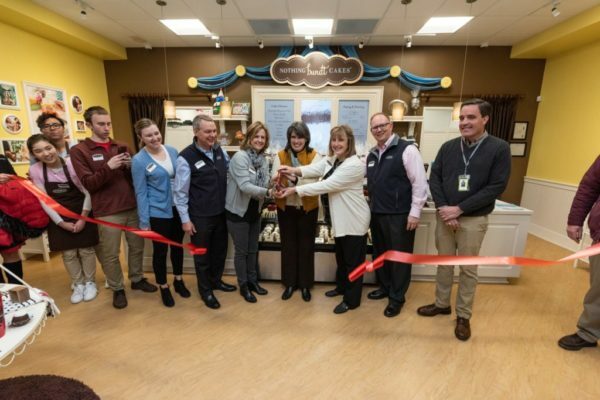 Nothing Bundt Cakes has been baking in 129 Maple Ave W. in Vienna for two months, but a ribbon cutting on Tuesday (Jan. 29) and celebrations this weekend mark the official grand opening for the bakery. Tomorrow (Friday), 20 percent of sales at the store will go to Amy’s Army, a non-profit dedicated to cancer research. From 5-7 p.m., the store will also host a wine and cake tasting. Nothing Bundt Cakes’ most popular flavors will be specially paired with selections from Vienna Vintner. On Saturday, the first 50 guests will receive free bundtlets — small bundt cakes — for a year. This offer is limited to one bundtlet cake per month for 12 months. The store opens at 10 a.m.
From 12-2 p.m., Nothing Bundt Cakes will host a “Cake-A-Palooza,” with a variety of free samples of various types of cakes. 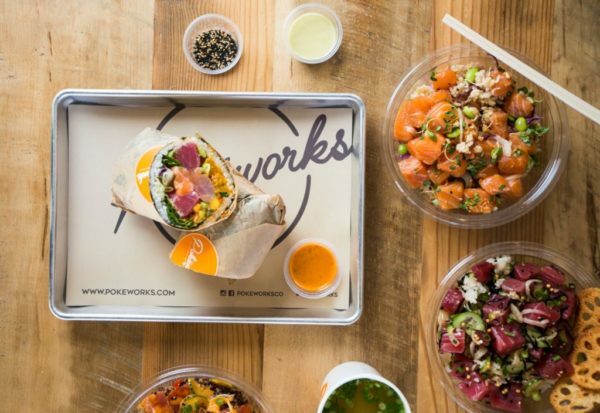 Pokéworks, a Hawaiian-inspired poke bowl and burrito eatery, is hosting its grand opening in the Tysons Corner Center mall today. Today from 10 a.m.-9:30 p.m., visitors who purchase one poke meal can get a second one free. 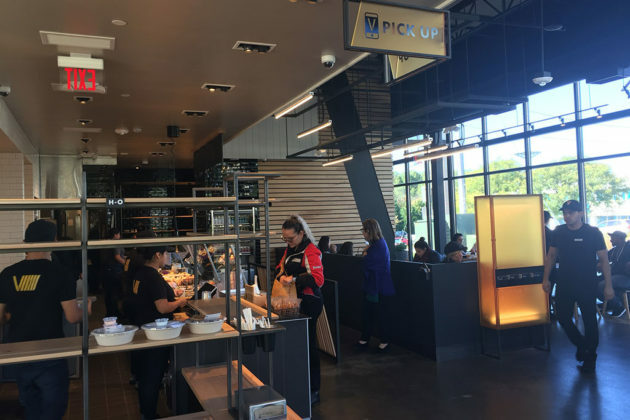 After noticing the rise of Poke restaurants and the need for more diverse food options in the area, the Chis and Tzongs found the fresh, light and flavorful ingredients at Pokéworks to be unmatched by any other poke restaurant. 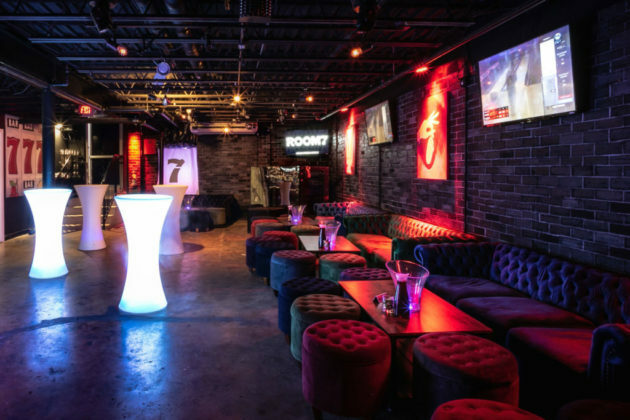 Eager to expand their business in the Northern Virginia area, these entrepreneurs have recently signed a second Pokéworks location in Chantilly and expect to open summer of 2019. The restaurant held a soft opening Nov. 12 in the mall’s first-floor food court. 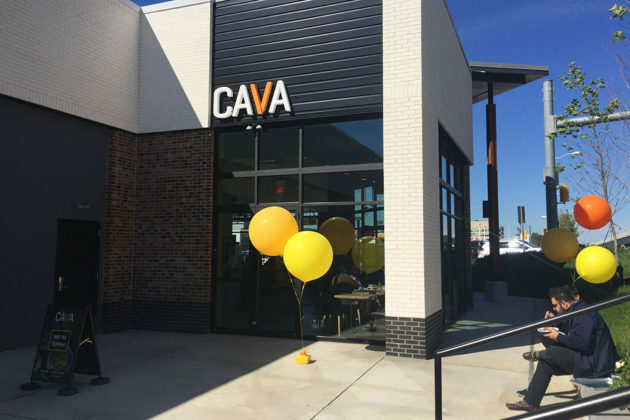 Cava, a Bethesda-based Mediterranean restaurant chain, has just opened in Tysons at 8350 Leesburg Pike. The restaurant officially opened today (Monday) near the Greensboro Metro. 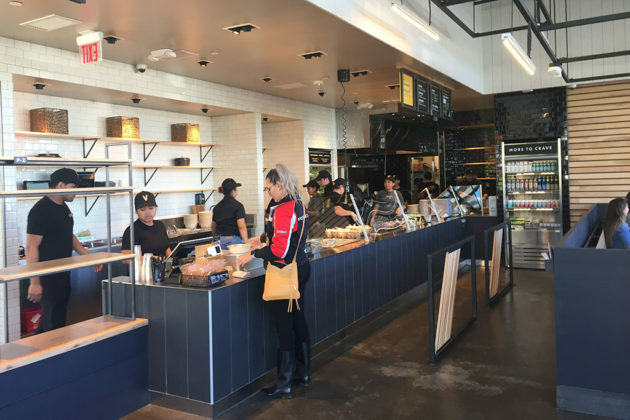 The Cava is located right next door to Honeygrow, a stir-fry restaurant that opened last month. 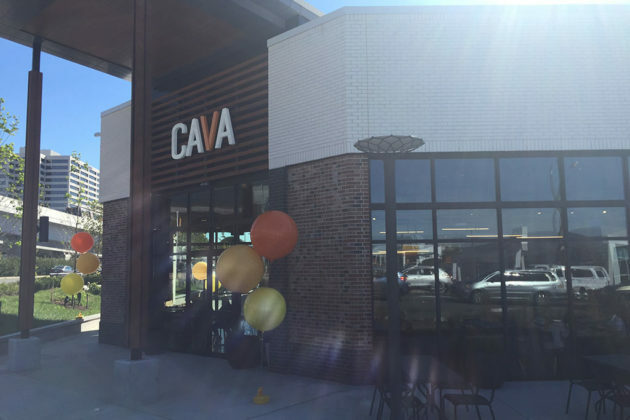 The Cava on Leesburg Pike will be open daily from 10:45 a.m.-10 p.m. Be warned though, despite the large lot in Pike 7 Plaza, parking tends to fill up quickly around lunch. 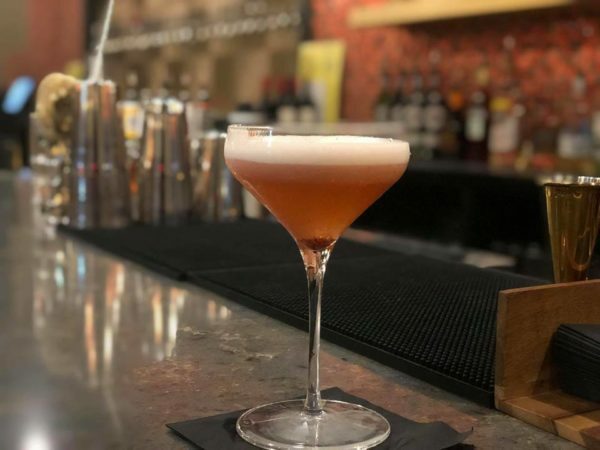 This isn’t the first Cava in the area, with locations in Vienna, McLean and another inside Tysons Corner Center. 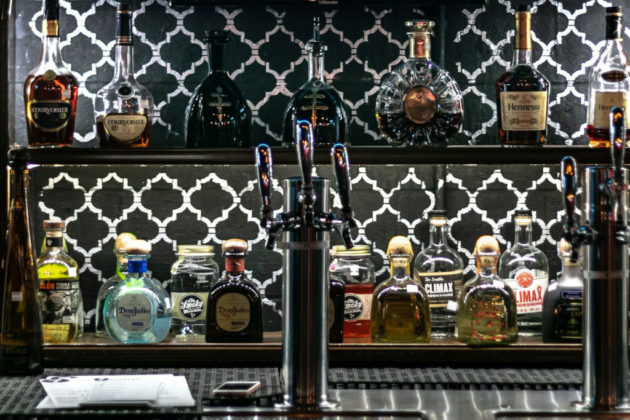 The chain has been expanding rapidly over the last year, including a deal in August that led to the company acquiring Texas-based Mediterranean chain Zoës Kitchen.